Paul Anthony Ciancia, 23, is shown in a driver's license photo. 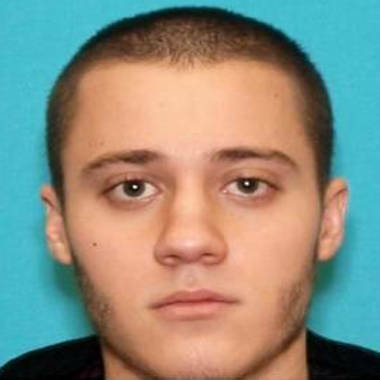 The man who allegedly killed a TSA worker and wounded three others at Los Angeles International Airport on Friday had anti-government literature in his possession outlining an alleged conspiracy to create a single global government, law enforcement sources tell NBC News. The sources, who spoke on condition of anonymity, said the material recovered from Paul Anthony Ciancia, 23, after the shootout at LAX appeared to have been prepared by a group called “New World Order.” One source said it also expressed animus toward racial minorities. There is no record of a radical group by that name and the term “New World Order” is often used by conspiracy-minded groups and individuals to describe an alleged secret plot to establish an autonomous world government that would replace sovereign nations and put an end to international power struggles. On Saturday, Mark Potok, an expert on hate groups with the Southern Poverty Law Center, published additional details on the literature, citing "a knowledgeable source with ranking law enforcement contacts." Potok said the one-page “manifesto” in Ciacia's possession included references to the Federal Reserve and “fiat currency” -- terms borrowed from the antigovernment “Patriot” movement. Very little was known about Cianci, who had lived in the Philadelphia area before moving to California. His brother told police in New Jersey he had received a text message from the suspect Friday morning saying he was thinking about taking his life. Pennsville, N.J., Police Chief Allen J. Cummings then contacted the Los Angeles Police Department to do a well-being check on Ciancia at his apartment in California. He wasn’t there when LAPD officers contacted his roommates about 10 a.m. local time, but they said everything was fine. Ciancia’s father, also named Paul, told NBC station KNBC that he last spoke to his son a week ago, when the son said the economy was depressed. The senior Ciancia said he didn’t know if his son had a job or if he owned any weapons, but confirmed that he was in California. Ciancia was shot by law enforcement and taken into custody after he allegedly began shooting at Transportation Security Administration workers with an assault rifle at about 9:20 a.m. local time. Passengers at LAX describe the moments after the shooting started. Federal officials said it was unclear whether the gunman was targeting TSA workers or was trying to shoot his way through to gain greater access to the airport. But one witness said the shooter, while walking through the terminal with his weapon, approached him with a one-word question. "All he said was, 'TSA?' Just like that," Leon Saryan told MSNBC. The shooting started in Terminal 3, which serves Virgin America and other airlines. Ciancia allegedly took a 223-caliber AR-15 style, semiautomatic rifle out of a duffle bag and fired on TSA officers at a screening checkpoint, authorities said. He then went farther into the terminal, where he exchanged fire with law enforcement and was shot multiple times in the chest, they said. He was hospitalized in critical condition, authorities said. Police said quick action by airport officers averted a worse tragedy. NBC's Ted Greenberg and Nyree Arabian contributed to this report.